Henry Lee was born on December 3, 1935 to Rachel Mosburg. Henry Lee lost his natural father as a toddler but was soon blessed when Rachel married Willard Furnish then his baby brother, Gene, completed their family. The two brothers grew up with a love of fishing and the country. Henry Lee graduated from Thomas High School in 1953 with Valedictorian honors. Henry Lee married Freda Joan and had a son, Mikel Ward. With sadness both lives were short but precious. Thereafter, he married Elaine Howlett and had to daughters, Anita and Audra. His life is still remembered by close commerades Jerrold Forester and John Givhan both of Alabama. Henry Lee joined the US Army and attended flight school in 1959 in Fort Benning, Georgia. He served in Company A, 2nd Battle Group, 12th US Infantry at Fort Riley, Kansas. 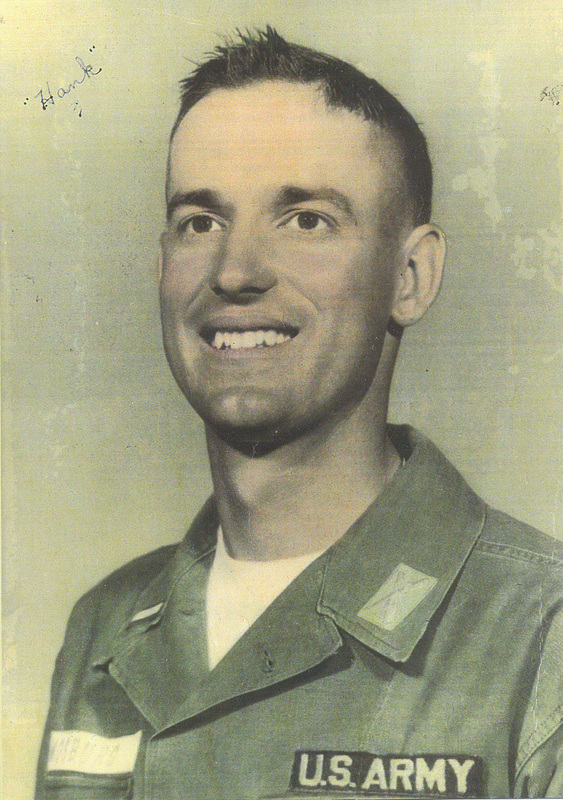 He went on to serve in Korea in S-3 Operations, Section of the 1st Battle Group, 31 Infantry known as the “Bearcats”. He served in both Korea and two tours of Vietnam where his assault helicopter was shot down. His body was never recovered and is listed as MIA. His plaque stands at Fort Rosecrans National Cemetery in San Diego, California. He was awarded the Purple Heart, the Bronze Star, the Air Medal, and the Flying Cross. Henry Lee is remembered by many as a tall slender man who was honorable and dedicated to God, his country, and his family. He was loved by all and led his men by example never by fear or intimidation. He often assisted orphanages in Korea and Vietnam. He never used profanity or condemned others. He loved all men of race, rank, and religions. He was a quiet man who attended church regularly and carried himself with pride. He is survived by his brother and sister in law – Gene and Sarah Furnish, nephews – Justin & Bridgette and Ryan & Laura, his wife – Elaine Mosburg, daughter and husband – Anita & Jeff Hoekstra with grandchildren – Henry and Georgia as well as his second daughter and husband, Audra & Keith Simpson with grandchildren – Brandon, Morgan and Chelsie.